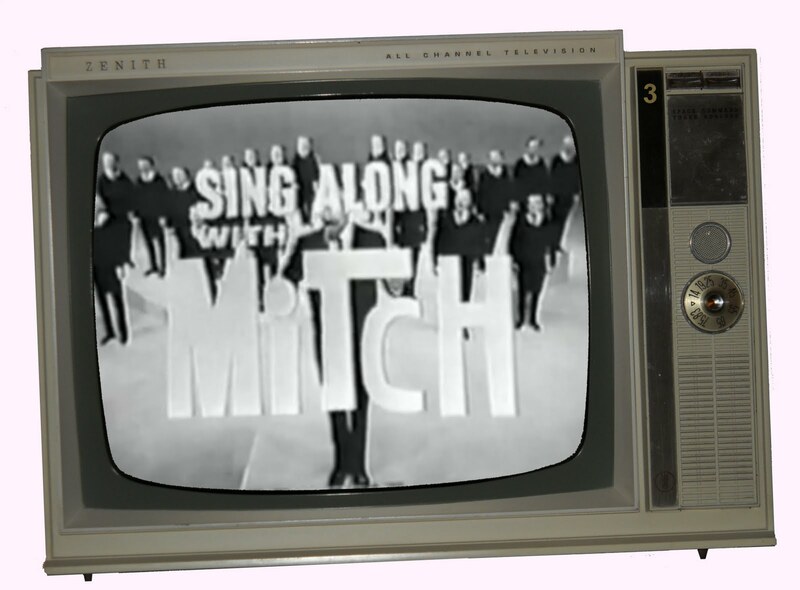 Welcome to one of my earliest television memories -- Sing Along With Mitch. "Mitch," of course, was the legendary Mitch Miller -- TV sing-along host, world-class oboist and hit-making record executive -- who died Saturday at 99. And, yes, his program was as corny as hell. The critics hated it. But the audience loved it -- this show that would come to be known to Boomers nationwide, along with Guy Lombardo and The Lawrence Welk Show, as an exemplar of Stuff Your Parents Liked. As a toddler, I liked the bouncing ball over the on-screen lyrics. AS A MIDDLE-AGED, graying (and balding) Baby Boomer, I like that watching old episodes of Sing Along With Mitch makes me smile. And sing along. And as someone who bemoans our culture's penchant for giving the Snookis of the world their own TV shows -- and I'm not sure what's more disturbing, laughing at the white trash or wanting to be the white trash -- I desperately miss the innocence of the idea of sitting around the Zenith console and singing along to songs whose prime was a long, long time ago. LIKE AN old song of Milton Berle's says (and, yes, Milton Berle wrote songs), "I'd give a million tomorrows for just one yesterday." Wouldn't we all -- especially nowadays. YEAH, this is corny stuff. Embarrassingly so. Just like family. And it feels comfortable, like a cup of hot tea and lemon -- though we're loathe to admit it. It feels like home . . . or what our time-edited memories of home would have us believe. Now Mitch Miller is dead. He was preceded in death by a world that could countenance such as Sing Along With Mitch on the public airwaves. And we mourn him. And we mourn his lost world -- that bygone era of gentler sensibilities and no Snooki . . . well, at least not on television. Today we mourn home, to which we cannot return.